7 weight 13'0" 4 pc. Sage Mod Spey Rod Sage 7130 MOD, fly fishing rod, aluminum screw top case included, limited lifetime warranty, KonneticHD technology. This rod is pure Skagit! The early rod Skagit rod designs by Ed Ward and Deck Hogan were very much like the Sage 7130-4 MOD. The difference is that Ed and Dec had the the idea how a Skagit Rod should work, and maybe they had most of the engineering skills as well, but thy didn't have the graphite materials to work with. Sage' head rod designer Jerry Seim added Konnetic HD graphite to the Skagit Rod equation, George Cook, Sage's master spin doctor calls the 7130-4 MOD, "The Soulful Slingshot Defined". You have to have a lot of personal confidence to paint your steelhead rod bright neon green. If you are going to stand out from the crowd, you better bring something new to the game. The MOD 7130-4 is a superb rod for playing fish. The full length bend is very forgiving against the jerky movements of fish. It absorbs shock and protects leaders from breakage, or hooks deforming. 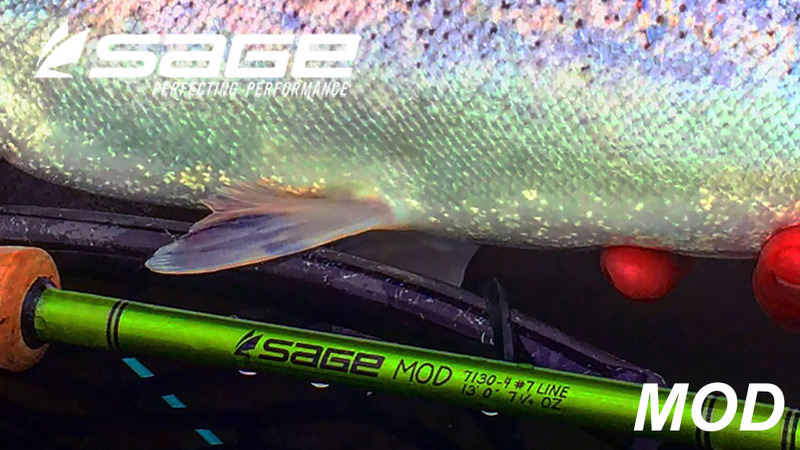 The Sage 7130-4 MOD may be the perfect "Skagit" action, steelhead rod to launch heavy sinking tips and big flies long distance. Don't be afraid of big rivers with the Sage MOD 7130-4 you can fish at long distances. The MOD has proven to be a favorite with my customers, whether beginners, or old hands. This rod telegraphs feel like no other two-hand rod out there This feel give each caster a huge advantage to fine tune their stroke, because they can feel what is going on. It is also easy for students to visualize How to make good casts, because they can see the bright green rod. 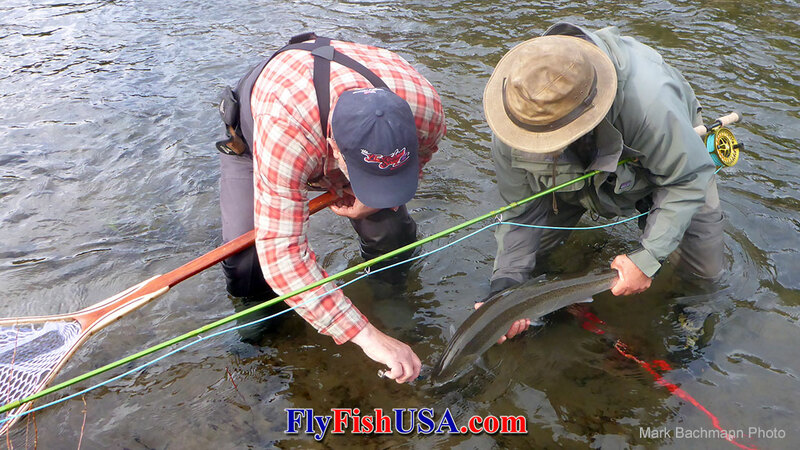 The Mod is the favorite rod at our Spey Schools. It is easy to load, feel and time. The Sage 7130-4 is the perfect client rod, because it is so easy to cast. 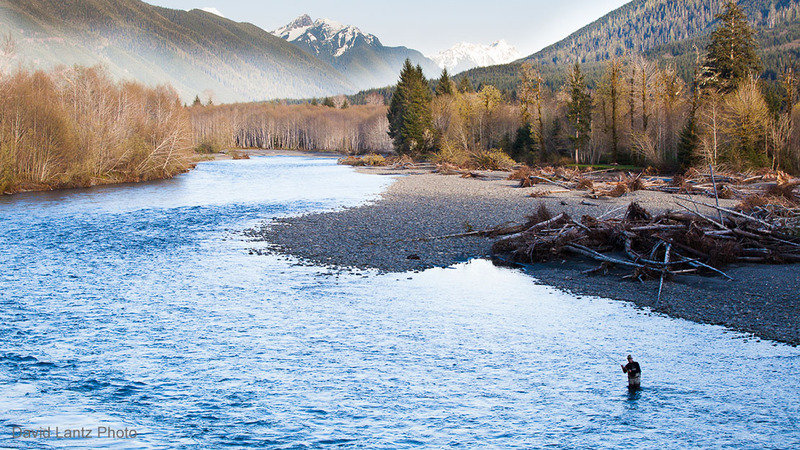 For the same reason it is the perfect Skagit rod for you. There is just nothing the matter with easy! Lines of choice: 510 Airflo F.I.S.T., 525-550 RIO Skagit Max Short, 11' of T-8, T11, or T-14. Great Choices in Reels: Sage Spectrum 10, Redington Behemoth 9/10, Hatch 7+. 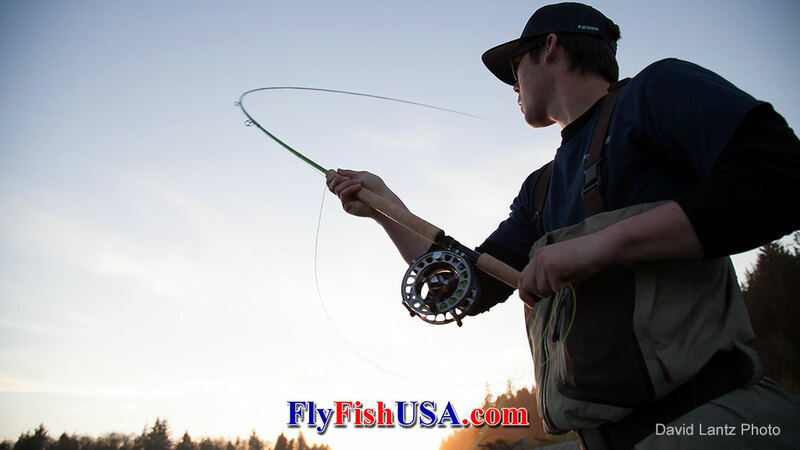 Presenting Your Fly from Sage Fly Fish on Vimeo.